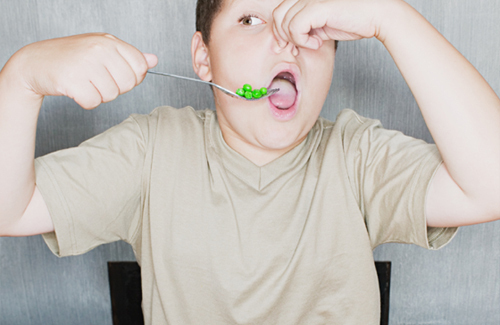 Voting this presidential year feels a little like being forced to eat your peas; it’s the right thing to do but you have to hold your nose. An educated populace is the bedrock of a sober and productive small “d” democratic society. Our Health Wonk Review contributors are doing their part to keep democracy alive. Let’s start by reading this positive post by our friends at Health Affairs about opportunities for continued progress in the U.S. health care system that are not necessarily dependent on the outcome of the election. Julie Ferguson at Workers Comp Insider also brings some heartening news on the potential for catastrophically injured workers to be enabled with new functionality via exciting new assistive technologies. See her post Cyborgs and Workers Comp where she defines the term “cyborg” to orient her readers to the promise of technology: A cyborg (short for “cybernetic organism”) is a being with both organic and biomechatronic body parts. Another blogger this week is also questioning the evidence, or lack of same, from another quarter, and that is the legitimacy of a 30-day readmission rate as a quality benchmark for hospitals. In The Hospital Leader, Brad Flansbaum shows us data that reveals a hospital’s influence on a patient’s post-discharge condition falls off a cliff after about a week, at which point the readmission rate is influenced far more by factors outside the hospital’s control. Read more as The Hospital Leader considers ways this issue can be handled to the advantage of patient outcomes and a hospital’s liability for them. You’ll never know whether a treatment works if you can’t pay for it. Several bloggers this week turn their attention to whether the nation’s Affordable Care Act is, indeed, affordable. Hank Stern at Insure Blog submitted a blog written by his colleague Patrick Paule that looks at a shell game where taxpayers funded a non-profit health plan to participate as an Obamacare co-op in the state health exchange to the tune of $65 million under the condition that it remain a non-profit. However, as one of the few co-ops that have remained standing – albeit on wobbly legs – it just announced its acquisition by a private equity group and conversion to a for-profit entity – moves that create a dilemma for the Obama administration. Read details here about this political sticky wicket that catches 38,000 patients in its grip. Another blogging HWR regular, Louise Norris, also digs into a detail of the ACA that snags another small subset of patients. In this two-part series at Healthinsurance.org , Louise analyzes the data on who is actually impacted by rising insurance rates. She concludes that while rates are going up, only a small sliver of the U.S. population are “being crushed by rate increases”. For those who are part of the non-subsidized, median-income crushed, she offers advice for dealing with premium hikes. In a separate blog at Health Insurance Colorado , Louise Norris tells readers that while Colorado rates are rising an average of 20 percent for the combined subsidized and unsubsidized individual markets, the people of Colorado will be getting more for their Obamacare premiums. Specifically, benchmark plans for 2017 will include chiropractic care, bariatric surgery and fertility treatments. We will wrap up this edition of Health Wonk Review by revisiting the voting booth. Our contributor, Shalvi Prasad, writes for Health Access: California’s Health Consumer Advocacy Coalition asking readers in California to push the lever for Proposition 56 that would add $2 to each pack of cigarettes to fund smoking cessation programs and boost funding for Medi-Cal. Find details on Prop 56 in Health Advocates Protest Big Tobacco’s Lies at Health Access. And don’t forget to eat your peas! Wow – What a GREAT job, Peggy! Timely and interesting (and Mama’s *always* right). Great edition Peggy – you nailed it!